Punjabi Shorthand Dictation 110 WPM Part 45 apke saath share karne laga hoon. Punjabi Shorthand Dictation 110 WPM Part 45 mai 550 words ka passage hai. 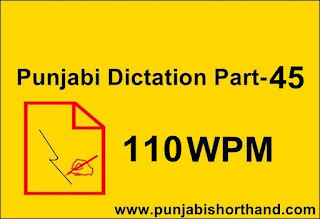 Yeh dictation 5 minutes mai record ki gayi hai 110 wpm ki speed se. Itni fast speed dictation likhne se pehle aap passage ki practice karle aachi tarah se phir is dictation ko likhe. 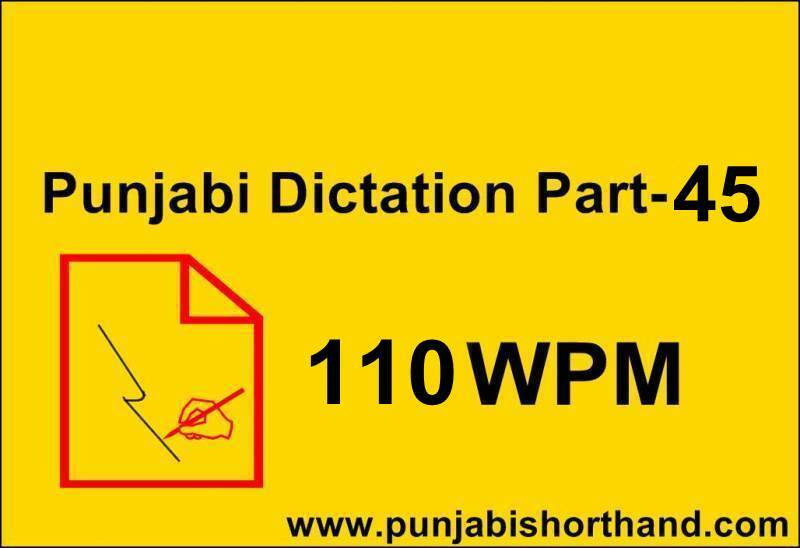 Jinki speed already 120wpm speed ki hai woh is dictation ko easily likh sakte hai koi words mai problem hai toh aap niche shorthand image dekh sakte hai. 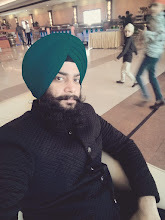 Dictation leekh zarur type kare aur paragraph ke saath always match karke mistake check kare.